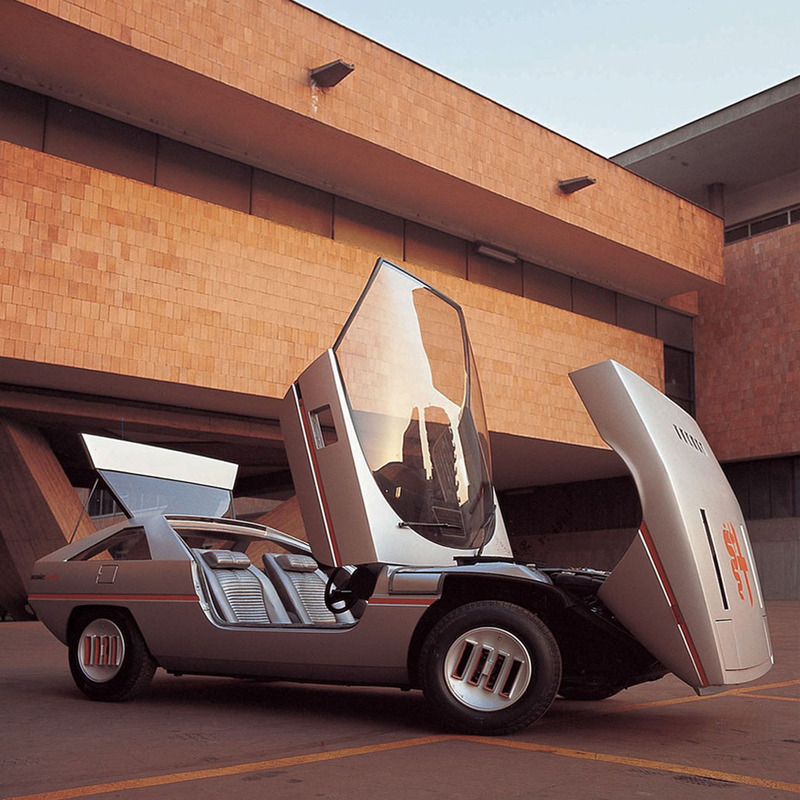 Alfa Romeo's supercar Alfasud Caimano was designed by the Italian designer Giorgetto Giugiaro in 1971. It was first shown at the Turin Motor Show in 1971. The car featured a front mounted 1186 cc Boxer engine with 63 bhp.The interior was accessed via a windscreen-door that lifted up. The car is exhibited at the Museo Storico Alfa Romeo near Milan.